The eyes of the world will once again be on Ripon. An open meeting has been called to discuss how Ripon can make the most of the opportunities that the UCI Road World Championships and Tour de Yorkshire will bring to the city this year. The meeting has been organised by Ripon Together, a city-wide partnership between organisations including Harrogate and Ripon Centres for Voluntary Service (HARCVS), Ripon Cathedral, Visit Ripon, and Ripon Civic Society. The Dean of Ripon, the Very Rev John Dobson, who will chair the meeting, said the two major cycling events present another exciting chance to bring the Ripon community together and boost the city as a whole. The Dean said: "It is clear that cycling is going to be an important theme for Ripon and its region in 2019, not least with the Tour de Yorkshire and UCI World Championships. We are aware that a number of individuals and groups are planning events, or have good ideas, in relation to these. "These are events and ideas that could bring the Ripon city community together and attract visitors. To explore these, along with the possibility of Ripon Together giving support by helping to coordinate efforts, we are inviting all who are interested or who would like to get involved, to an open meeting." A Ripon Together newsletter which includes a write-up about the meeting, reads: "Two huge cycling competitions visit Ripon in 2019, and Ripon Together is really keen to help ensure that the city benefits from the opportunities the Tour de Yorkshire and UCI World Championships will bring. "Whilst the race organisers and local authorities have the lead role for the races, we’d like to explore other opportunities to involve the community and get Ripon cycling. Following the successful approach used for Ripon Remembers in 2018, our first step is to host a community interest meeting, to which anyone with an interest in getting involved in coordinating a programme of activities is invited." 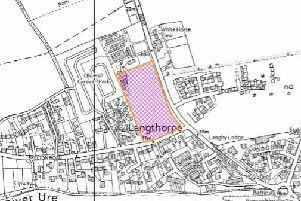 The meeting will be held at Thorpe Prebend House, High Saint Agnesgate, on March 18, 4.30pm to 5.30pm. To register your interest in attending the meeting, click here.